Times Microwave is the inventor of LMR® cables. 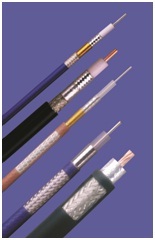 With partners in the EU and China we offer high-precision and low-cost cable assemblies with short lead time. Most cables are available in flame retardant (UL certified) versions, watertight, ultra flexible and as low-PIM versions. LIGHT WEIGHT LMR-LW ✓ Light Weight Flexible Low Loss and low cost! Times Microwave also offers leaky feeder cables in two versions: T-RAD-600 and T-RAD-900. Available for all cables are connectors, lightning protection components, and tools for cutting, stripping and crimping. If phase stability during flexure is of concern, the best Times Microwave cable is Silverline-VNA, which exhibits excellent stability of amplitude, phase and VSWR with repeated flexure. 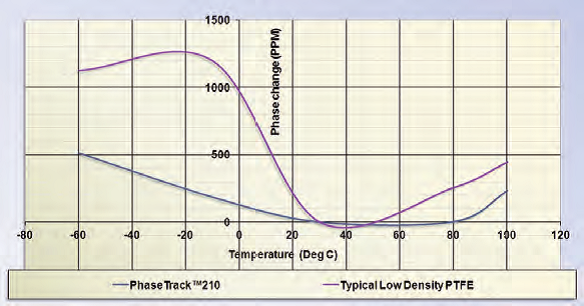 For highest stability of phase vs. temperature Times Microwave developped its PhaseTrack® cables. 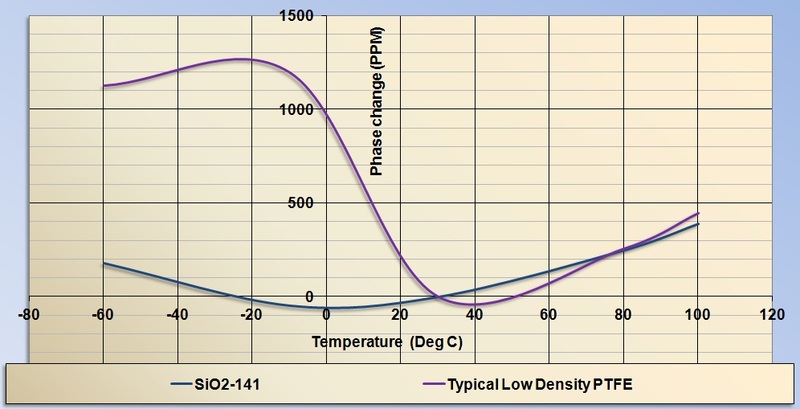 Using a special TF4™ dielectric they do not show the typical "PTFE-knee" in the temperature behaviour, see graph below.